Tower heaters have been used for a long time as air cleaners and portable fan units. This is a tower unit that efficiently adds heat into that mix also. It’s a product that is easy to move all around your home and that will do a nice job providing extra heat to the area you place it in. 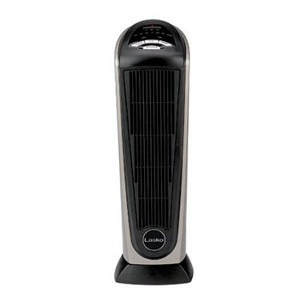 There is definitely a lot that we like about the Lasko 751320 Ceramic Tower Heater. There is plenty of heat to be had when using the Lasko 751320 Ceramic Tower Heater. Its 1500 watt power will generate over 5000 BTU’s of heat. That is plenty to keep even the largest size rooms warm and comfortable. It has a simple push-button operation, programmable heat and it can even be controlled remotely. Its wide oscillation range is a big bonus too. It gets the heat to disperse all throughout any room this space heater is placed in. That is a rare quality when it comes to space heaters because very few models oscillate and move the hot air around. This is a very basic looking space heater but it’s not an eyesore by any means. It has a silver metallic like finish that is nicely accented by flat black grills and other inlays. The white push-button controls are good sized, so they are easy to use and add to the looks of this space heater. There is not an abundance of safety features on this energy saver space heater but it has the essentials. The most important of which is overheat protection. If the heat it produces reaches a temperature outside of its temperature control range it will shut the unit down. There is an auto tip-over shutoff switch built into this heating unit too. 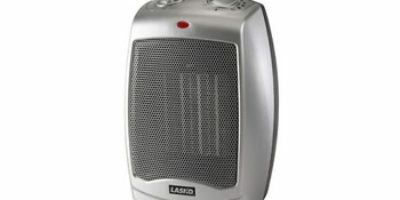 Space heaters such as this one that uses ceramic generated heat usually run cool to the touch more than other types of space heaters do. Without a doubt, one of the best features on the Lasko 751320 Ceramic Tower Heater is that you can operate it by remote control. It’s really nice when you don’t have to get up to add or reduce heat output in the room this heater is placed in. With just a few simple presses of its remote control buttons, you can have the heat in the room adjusted just the way you like it. The 7-hour timer that’s built into the Lasko 751320 Ceramic Tower Heater adds a nice touch also. That enables you to do such things as program the heater to run as you like it overnight and it will shut itself after running a few hours if you want it to do that too. There were a few concerns we had with this space heater model. One of them is it does not have a wide base. 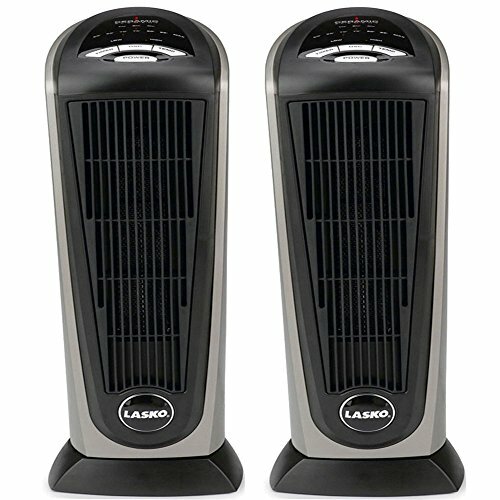 That was done for space saving purposes but leaves the Lasko 751320 Ceramic Tower Heater more prone to tip-overs on uneven surfaces such as thick carpeting. Another concern was the way the built-in carrying handle on it is designed. It is under the top lip of the unit so it is kind of an awkward position that you carry it in. It’s not padded there either. Should not be a huge factor if you are only moving it short distances. We here feel that you can never go wrong when you purchase a tower style space heater to give the heat in any room a boost. That’s especially true when that tower style heater is remotely controlled like the Lasko 751320 Ceramic Tower Heater. Its ceramic heat is very even and efficient and it even comes with a 3-year warranty too. This space heater is easy to operate, widely oscillates and takes up little space thanks to its taller design. 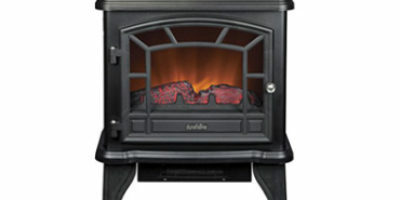 We all feel this is a really good heater to buy if you are in the market for a new space heater.